On December 2 China will be launching a probe to the moon. Chang’e-3 will depart from Xichang, which is a Chinese launch center for satellites, and aim to land on the Moon 12 days later, on December 14. 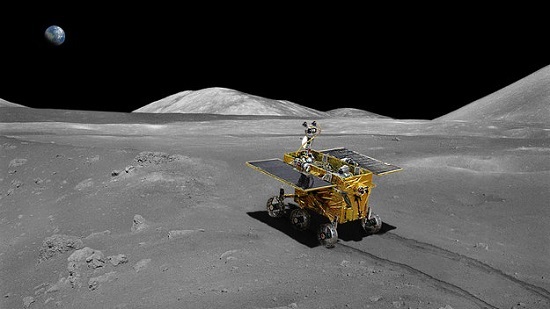 Once there, the probe, which contains a rover that has been named Yutu, will traverse the Moon and survey it. The robot is capable of driving autonomously, though it will also be controlled as well by the space program in China, and is expected to be on the Moon for roughly three months. Lending their aid in getting to the Moon is the European Space Agency (ESA). They will be helping out with the guidance of the probe from Kourou, French Guiana, where they have a station. “We are proud that the expertise of our ground station and flight dynamics teams and the sophisticated technologies of our worldwide Estrack network can assist China to deliver a scientifically important lander and rover to the Moon,” Thomas Reiter said via press release. Reiter is a retired astronaut, from Germany, and is currently the ESA’s Director of Human Spaceflight and Operations. China also has plans to launch a probe to Mars, as well as put a person on the Moon.